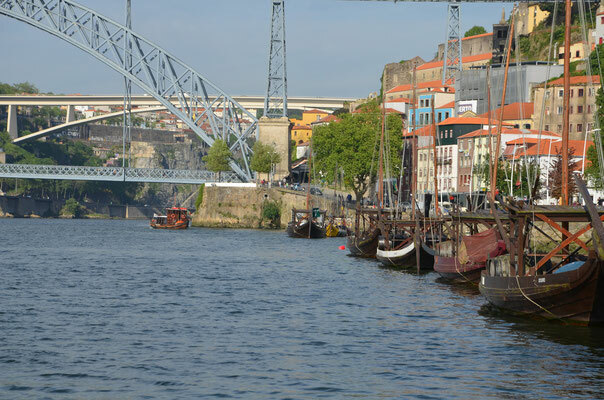 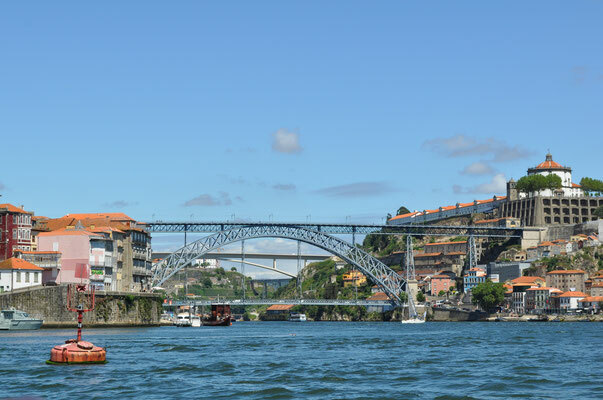 The best way to discover the six magnificent bridges is probably to take a riverboat cruise on one of the old boats which used to carry Porto ‘s wine cargoes. The bridges have their very own distinctive styles : the emblematic Luis I bridge and its spectacular arch, the Arrábida bridge once the longest reinforced concrete bridge span in the world, the Infante D. Henrique bridge, one of the most elegant of its type, the Maria Pia bridge, Gustavo Eiffel's first masterpiece, the São João bridge with its span of 250m, a new world record among bridges in "portico" and, finally, the Freixo “double”bridge. 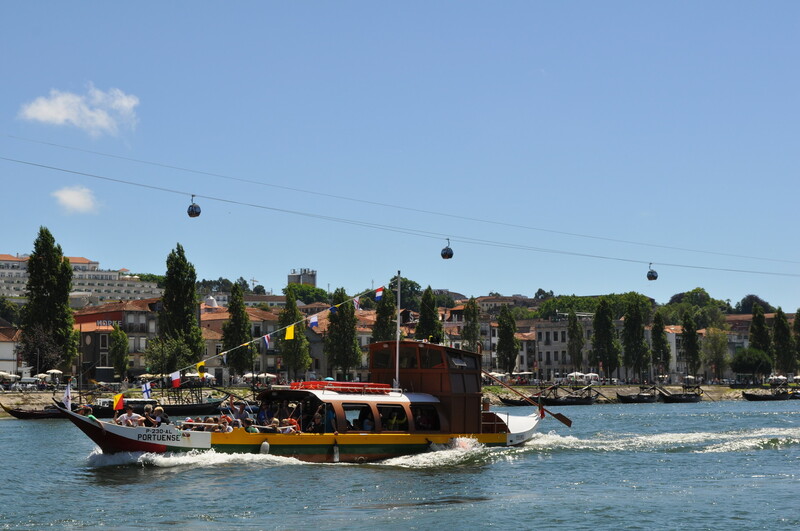 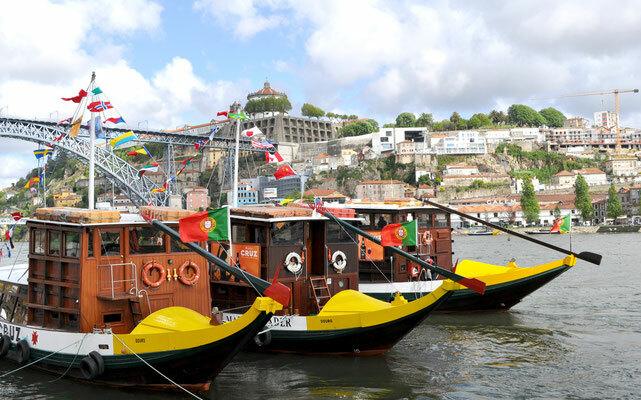 On the banks of Gaia (and on the banks of Ribeira) you can climb aboard a small boat of the type used to transport Porto wines. 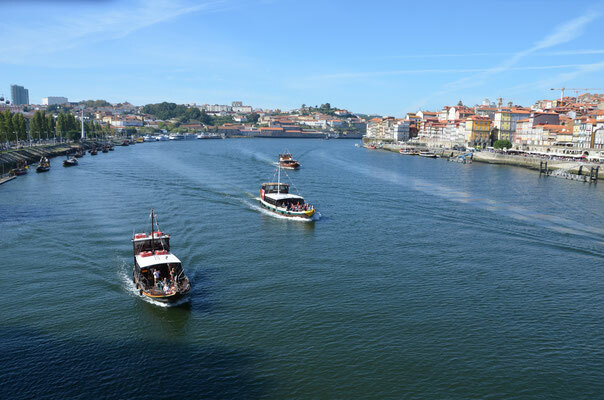 For a first visit, the 50 minutes crossing will give you a good overview of the estuary and the architecture of the six bridges. 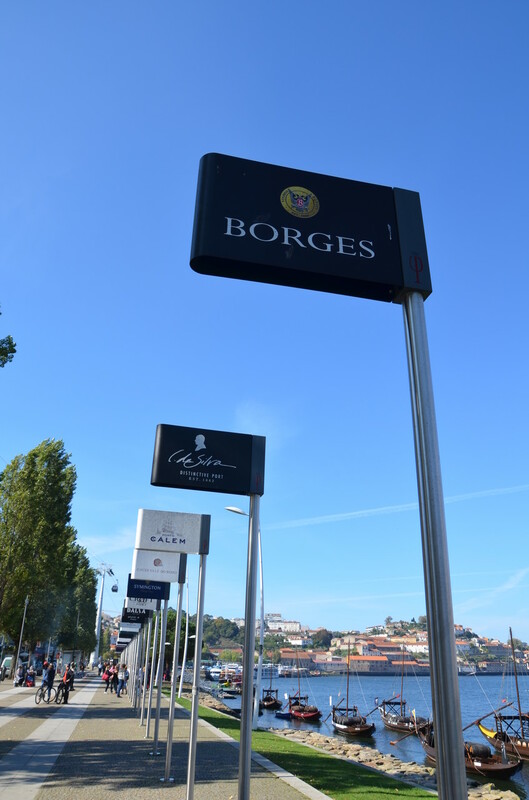 You will also discover the gardens of the Crystal Palace, the Solar do vinho do porto (the Port Wine Institute), the Hospital of St. Anthony (Santo António) which reflect the importance and wealth of the city, but also the cellars, cold warehouses, the different architectural styles, and at the mouth of the sea, Foz do Douro and the start of its so beautiful beaches and walks. 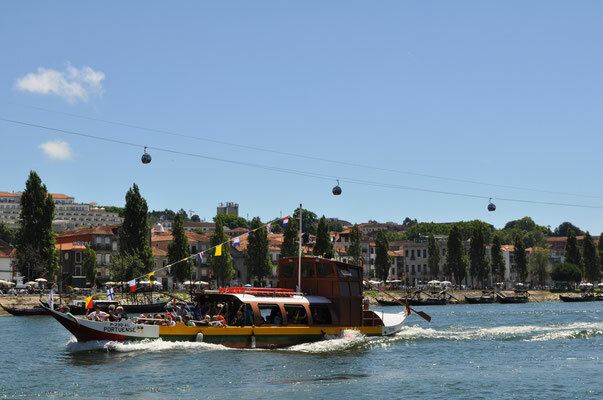 Skip the queue! Buy your tickets online.